If there was no fear… what would you dare to dream? Ted, Damon, and crew conducted an abbreviated RoboSlam this part week for 18 undergraduate engineering student from the University of Wisconsin last week. They are students of former Fulbright, Bob O’Connell (far right). I’ll post more photos of the event soon, on our RoboSlam website. 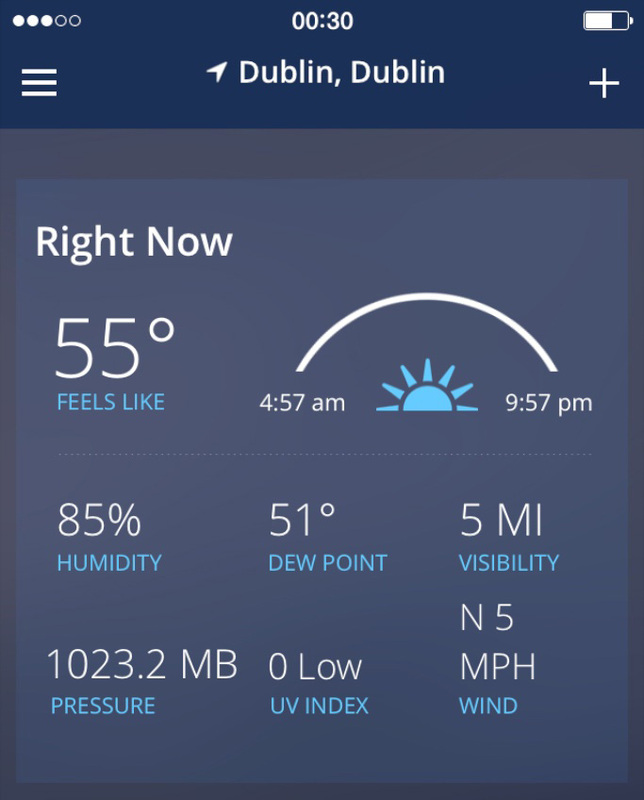 Solstice in Dublin! It was my first solstice here and I enjoyed every minute of it! Interestingly, there’s indirect sunlight for even longer than 17 hours. The first rays appear before 4 AM and the last disappear after 10 PM. Dublin is full of sunshine! Temperatures are topping top out each day at about 65 degrees Fahrenheit and the sun has been staying up for 17 hours each day. That makes for perfect weather for outdoor yoga. On the day of the solstice, our yoga instructor, Peter, shared this provocation: If there was no fear, what positive change would you make in your life? I mulled the proposition. I know better than anyone: There’s good reason to fear what you may lose by chasing outrageous dreams. But there’s also good reason to seek new knowledge and experience. I hope someday my work will be a testament to trying hard to live life to the fullest. This, the second week of my Marie Curie research fellowship, was full of adventures, errands, and learning. My colleagues and I conducted a RoboSlam and a workshop on Problem-Based Learning at the start of the week. I was honored to be included in a dinner and workshop with a guest from Portugal, José Manuel Nunes de Oliveira, who you may recall from an earlier blog. Jose shared his work with the faculty of the DT07 electrical engineering program. This group of teachers is considering making the DT07 program more problem-based. 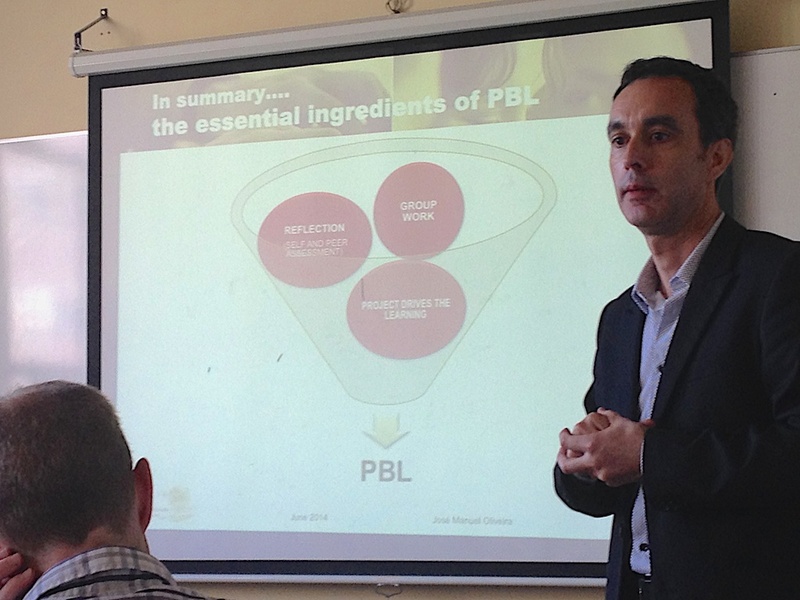 Jose’s three essential elements of PBL. Jose described various aspects of assessment since this is a topic of concern to many of the teachers in the program. I wish I had time to post details of the workshop, but I really need to get onto “real” work today. Below, I’ve uploaded a photo journal of many highlights of the week. I hope they inspire you to find a least one new adventure today–however big or small. The week started with Father’s Day so I spent time chatting with my family. Here’s a photo from the past of my sister, dad, and me. Here’s the view from my new office at DIT Bolton Street. Pretty cool! …like Avoca, where you climb to the fourth floor to find the cafe. …and try to notice new details, like this like little sitting place in St. Patrick’s park. I often take a moment to check in with friends back home. I spent a good deal of time last week with Gavin Duffy’s guest speaker from Portugal, Jose. Jose came to speak about PBL. He shared interesting thoughts, experiences, and diagrams. We also had a speaker from Maynooth. …for a MeetUp at a Russian restaurant. Following the dinner, Eamon and I headed over to the Cobblesotne to hear Brenda play and Fergus and Eamon sing. I also reconnected with Cecelia Hartsell, a PhD candidate from Fordham University. I attended the end-of-year BBQ for DIT’s College of Engineering and the Built Environment. And finally caught up with the new dean of the College, Gerry Ferrell. …and shoot the breeze with Marek (who helped hone my Marie Curie grant proposal) and Ela’s new husband, Ronan. …capped on the north end as it is, by the Cobblestone pub. The city is installing new bike racks. Due to the popularity of Dublin Bikes, service is expanding. Phenix Park was gorgeous on Saturday. A perfect setting for Peter’s yoga class. …for a guided tour of Glasnevin Cemetery. Annie was a superb tour guide…. …and our tour this day began with a reenactment of an important funeral oration. The original event (O’Donovan Rosa’s 1915 funeral) had a few more attendees, however! I love visiting Daniel O’Connell’s tomb. Daniel O’Connell was an amazing human rights activist. And they will soon rebuild the stair in his tower (he stair was bombed once upon a time; the tower pictured previously), so we were fortunate to see the inside, as it is, one last time. Daniel O’Connell founded this cemetery in 1832 and it has always been non-denominational. There are 1.5 people are million buried here (more than live in Dublin today). All names are recorded, but only about 200,000 rest in marked graves. Following the tour, we headed over the the Botanical Garden, which I’d not visited before. To cap the week, I spent Sunday morning with Cecelia, discussing research and grants(wo)manship. This is great! Congratulations on your work, Shannon!